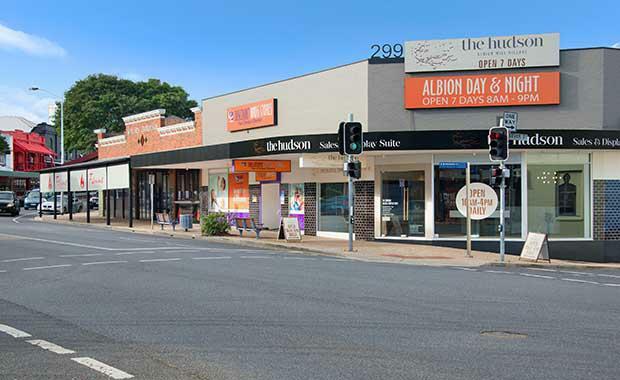 A fully leased commercial property in Albion has sold for $2.65 million to a Sunshine Coast private investor. The 299 Sandgate Road property consists of two refurbished buildings and three tenants has income security from long term leases, with anchor tenant Discount Drug Stores on a lease agreement until 2036, inclusive of options. The property has a gross leasable area of 486 square metres that was extensively refurbished by the previous owner through a substantial improvement of the tenancy mix. The leases were extended and the current annual net income is calculated at $204,409. Stephen Kidd, Director of Retail Investments at Colliers International who exclusively marketed the property in an auction campaign, said it offers modest current rent levels which allow for solid long term income growth. Mr Kidd said the property presents several exit strategies with the ability for new owners to break the two buildings into separate titles if required, subject to council approval. The national pharmacy retailer, Discount Drug Stores, is on a seven year lease with five plus five year options which commenced in June 2012. Restaurant and Bar Fiamma Trattoria, occupies a gross leasable area of 194 square metres and has the space leased for five years, also with five plus five year options, which commenced in October 2013.